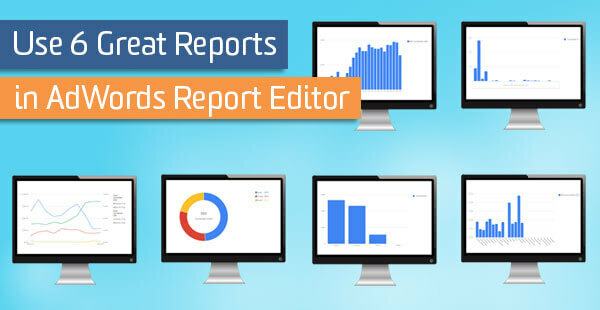 We’ve been using AdWords Report Editor since it was in beta and wanted to share some of our favorite features of this super-slick reporting tool. 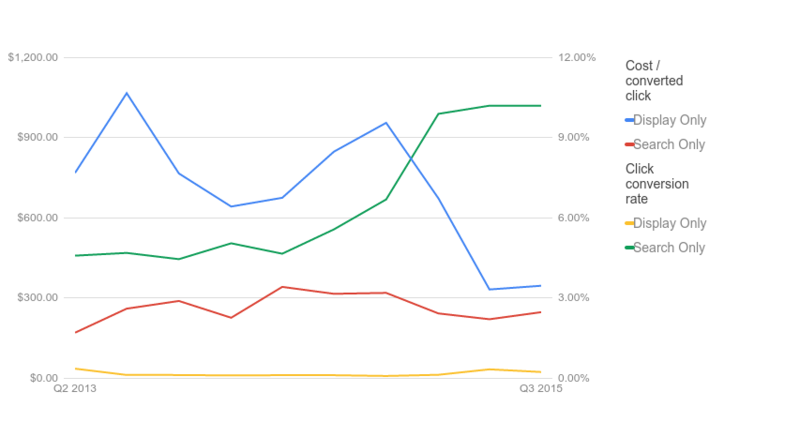 Not only is it really fast, not only does it produce beautiful charts and graphs to share with your co-workers and clients, but it also allows us to visualize data in the AdWords interface that previously was difficult to view. That means it removes much of the grunt work involved with pulling charts into Excel and other data visualization platforms. Each of the reports below could not have previously been produced in the interface. If any are appealing to you, give them a shot. AdWords Report Editor makes it easy to report on and visualize your Search network and Display network campaigns. Just pull the “campaign type” dimension into the report, with whatever metrics you’d like to view to get a better understanding of how search and content channels perform in your account. AdWords Report Editor makes match type analysis a *snap*. These pie charts are great to help understand how your keywords are working by displaying the percentage of a performance metric by match type. 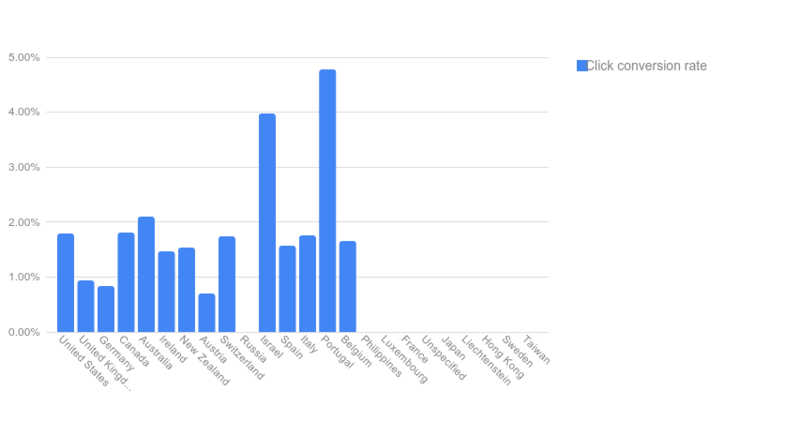 Here we’ve selected conversions, and, at a high level, it appears that the work we’ve done to build out a complete keyword list has paid off with nearly half of total conversions coming from the exact match type. 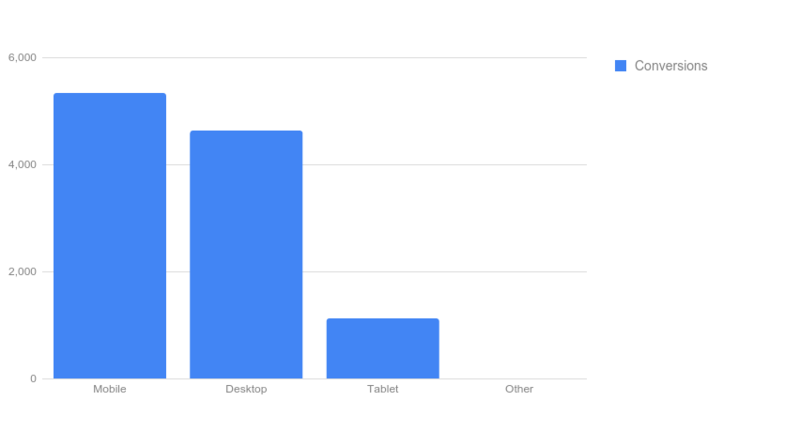 AdWords Report Editor now also gives us the ability to quickly analyze device data. Throw the “device” dimension into your favorite reports to give it a whirl. This really helps us and our clients get a grasp on just how important the mobile audience is in this scenario. Maybe this will finally help you believe the hype surrounding mobile. Location analysis is easy and looks great using AdWords Report Editor. Charts like this help our international clients understand whether to make greater investment domestically or overseas. Additionally, it helps identify areas where their services just aren’t producing the right results. Adding visuals to any time-based reports immediately makes them more impactful. 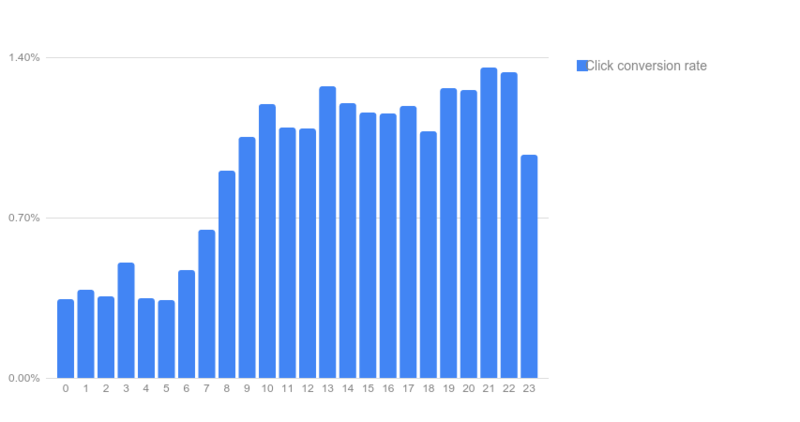 It’s nice to actually “see” how traffic typically flows to your website throughout an average day or week. From here, it’s just a few clicks to making the right optimization by either reducing our bids during the low converting periods or removing our ads from the auction entirely. Use “hour of day” or “day of week” as your primary dimension to make the most of this report. 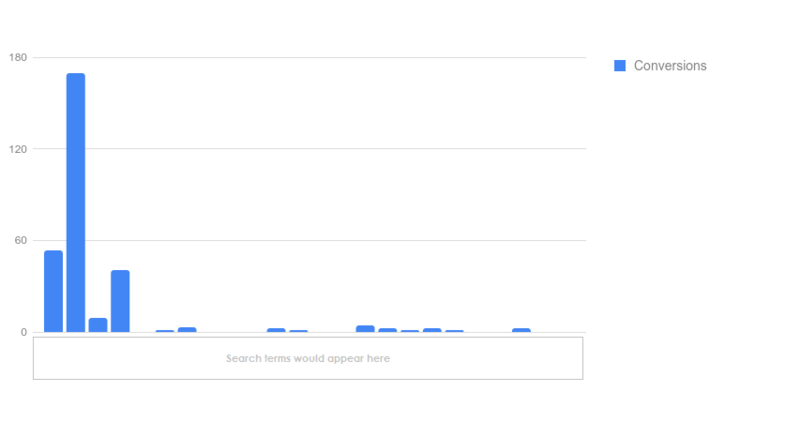 For a quick view of traffic quality try putting together a quick search term bar chart. Maybe you see a lot of traffic from a term you wouldn’t expect or, better yet, a lot of conversions from a term you wouldn’t expect. This is a really great way to discover new ideas that can be turned into immediate results. As you can see, this new tool does a fantastic job of creating visuals for you and your clients. The reporting interface is really quite intuitive, so generating reports similar to those above shouldn’t be any problem for you.